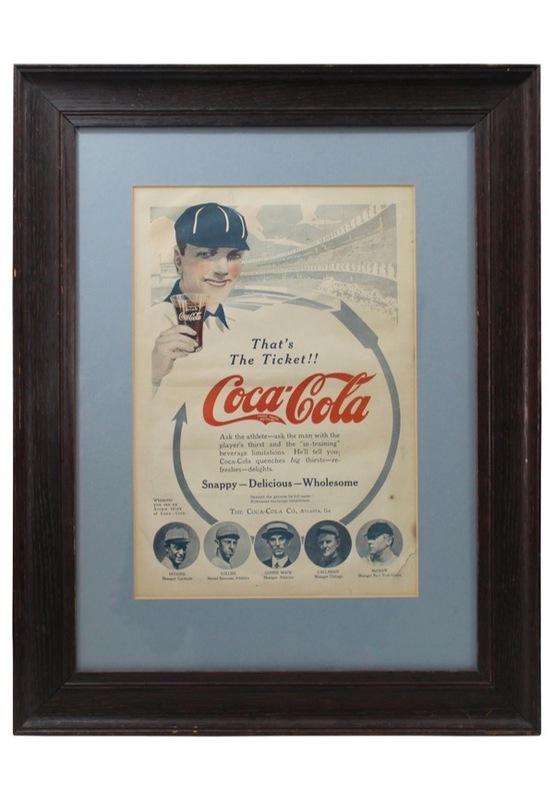 Two framed display pieces, one for Coca-Cola and one for Louisville Slugger. 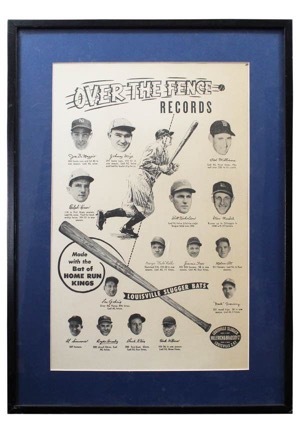 The Coca-Cola piece depicts the faces of Connie Mack, Eddie Collins and others while the Louisville Slugger depicts legends Babe Ruth, Lou Gehrig, Ted Williams, Jimmie Foxx and more. 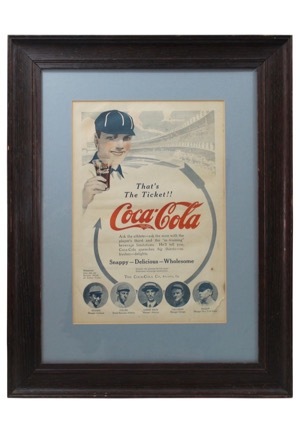 Vintage aging on the Louisville Slugger piece and minor creasing is seen throughout the Coca-Cola piece.